The government today said that it was in favour of reducing the weight of school bags and had initiated a pilot project in 25 Kendriya Vidyalayas to provide digital learning to children through tablets. New Delhi: The government today said that it was in favour of reducing the weight of school bags and had initiated a pilot project in 25 Kendriya Vidyalayas to provide digital learning to children through tablets. HRD Minister Prakash Javadekar said while the National Council of Educational Research and Training (NCERT) has recommended only two books (language and mathematics) for classes I and II and three books for classes III to V, it has also made available all their textbooks for free access through the web and mobile devices. 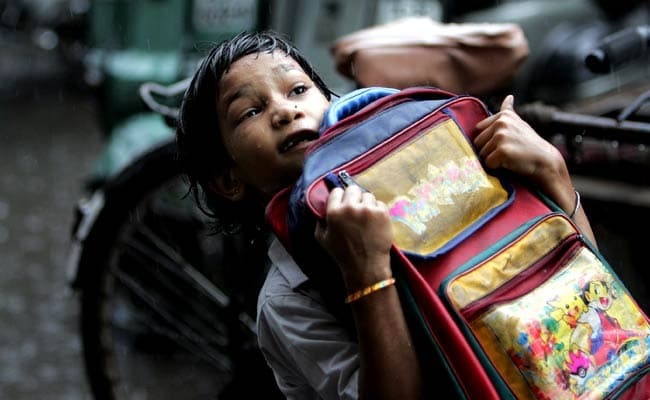 The Central Board for Secondary Education (CBSE) has directed schools affiliated to it to ensure that students do not carry school bags till Class II and has advised all its affiliated schools to take all possilbe measures to keep the weight of school bag under control, he added while responding to questions in the Rajya Sabha. "Kendriya Vidyalaya Sangathan has taken a number of steps to promote digital learning in its Vidyalayas. To begin with, all students of Class VIII in 25 Kendriya Vidyalayas (One KV in each region) shall be provided with good quality tablets on pilot basis. "The students will use these tablets as also their teachers for Mathematics and Science for enhancing their core skills in these subjects," he said. Mr. Javadekar said many state governments have also taken steps in this direction and Maharashtra has started digital schools and more than 50000 schools are being upgraded on digital education.